One in four Americans will struggle with a mental health issue during their lifetime, but there are significant challenges in mental health care including access, cost, and quality of treatment. In addition to the individuals’ affected, employers are also experiencing the consequences of untreated mental health conditions. The Center for Workplace Mental Health estimated that depression alone is “the leading cause of disability worldwide, [and] cost[s] the U.S. economy $210.5 billion per year in absenteeism, reduced productivity and medical costs.” It’s no wonder that according to a 2017 Willis Towers Watson survey, 50% of employers say behavioral health is an ‘Extremely Important’ priority in the next 3 years. This emerging trend has led to the rise of several mental health solutions in the employee benefits space, including Spring Health, an innovative platform designed to ease the challenges of navigating complex mental health care. 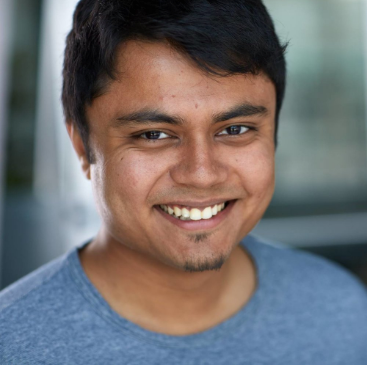 As co-founder and CTO of Spring Health, Abhishek Chandra has built and supports a mental healthcare platform that serves more patients than the Psychiatry department of Massachusetts General Hospital. His company, Spring Health, offers a comprehensive mental health benefit for employers. They help employees understand and take control of their mental health, and connect them with best-in-class providers to get the right treatment at the right time. Tell me a little bit about how and why you co-founded Spring Health. As a senior at Yale University, I was working with a healthcare startup to empower patients through machine learning when I came across Adam [Chekroud]’s research on the application of Artificial Intelligence in psychiatry. I met Adam, and our third co-founder [and current CEO], April Koh, soon after and we realized that there was potential to solve a problem that was an important theme in all three of our lives. Spring started with an idea to use leading technology, like the AI algorithms Adam had been publishing, to drive better clinical outcomes for people suffering from mental health conditions. The three of us come from very different backgrounds, but our unique skills — April in business, having already founded another company, Adam as a scientist, and mine as a technologist — combined well with our shared desire to help people and improve mental healthcare. What are the most significant challenges in mental health care today? Where do I begin? Unfortunately there are many barriers to mental health care at every step — identification, access, quality, treatment options, and cost, just to name a few. Firstly, we don’t regularly screen ourselves for mental health conditions, so it can take people a long time to connect the dots between their symptoms and a mental health diagnosis. For someone with depression, it may take them months to realize that their difficulty to get out of bed, or random aches and pains, are related to their mental health. There’s also not an obvious or convenient way to find help for a mental health condition. Even if someone does know they are experiencing depression, anxiety, etc., most people will find themselves asking, where do I start? Finding the right provider is much more challenging than people anticipate. Why is so hard to find the right mental health care provider? First — most mental health practitioners in the USA don’t accept any insurance carriers. This means people have to pay for their treatment out of pocket, which can easily cost $200–300 a session in major cities. Second — most therapists and psychiatrists are not accepting new patients. Even when they are taking new patients, their opening hours/availabilities are probably pretty tight and it could be weeks before a first appointment with them. This is a problem of access, but just as importantly, there is an issue of finding the right fit. Each provider has a slightly different way of delivering treatment, and many patients have pretty strong preferences about the kind of therapist they want to work with (i.e. in terms of age, gender, racial identity, etc.). There are lots of types of providers — therapists, psychologists, social workers, and psychiatrists, for example — and people usually don’t have much context to know which kind they should be seeing. How is Spring affecting mental health care providers? Just like patients have preferences for their therapist, providers also like to work within their expertise and see patients who they can most effective in treating. The patient-provider relationship goes two ways, so Spring is leveraging technology to make that relationship more meaningful and clinically effective. Spring providers have the right data about their patients from the get-go so that the overall treatment journey is exponentially more effective for members from their first session onwards. An added benefit is that Spring’s platform drastically reduces the amount of time providers spend with scheduling, billing, and other administrative tasks. We give therapists more time to see patients who need care, and take away a lot of the annoying paperwork that they would otherwise spend time doing. You sell to employers though, right? Are employers talking about employee mental health enough? Yes and no. I think more and more employers are taking responsibility for their employees’ mental health, but there’s not enough discussion about what good and bad mental health in the office actually looks like, and how it affects teams and companies. There’s a lot of talk about office dynamic, and which companies have the best culture and HR policies, but I find that mental health is left out of that conversation most times. We’re also seeing a big emphasis from HR teams at top companies on employees’ “soft skills” like leadership, body language, feedback, and communication, which are all closely tied to mental health. Employers are still just starting to realize that having a positive culture around mental health in the workplace can increase productivity, creativity, and teamwork. The inverse is also true — one employee struggling with a mental health condition can affect a whole team if they aren’t helped. What opportunities are there for employers to improve employee mental health? The first step is to provide a full-service mental health solution. Right now, most employees have to go through their EAP or insurance provider to find a therapist, which is an over-complicated and time-consuming process — exactly what you want to avoid if someone is already dealing with a mental health issue. We created Spring to help employees throughout a mental health journey, from early detection to treatment. Another opportunity for employers and their HR teams is to gain a deeper understanding of the prevalence of issues affecting their employee populations. A population health approach to employee mental wellness can help employers design strategies to help those who need help — like organizing relaxation and time management workshops during the most stressful periods of the year. Spring’s data-enriched platform allows HR teams to access reporting dashboards that give them relevant, employee-wide insights without infringing on employee confidentiality and privacy. Okay, let’s take a step back. What is the role of technology in mental health care? Technology is a lever for better clinical outcomes in mental health care and a solution to empower stakeholders. Spring’s product is developed with real people with real needs in mind, and we want nothing but better clinical outcomes for our current members. We are using leading technology, like AI, to deliver more effective therapy, but not necessarily to replace it. Right now, mental health care cuts corners and involves a lot of guesswork, but technology can fix these exact problems. Spring’s proprietary technology allows members and providers to be proactive and make data-driven, clinical decisions to reduce the time to detection, time to access, and time to recovery from a mental health condition. So are there limitations to what new technology can (or should) be used for in mental health care? Absolutely. Technology is not the solution for every issue we see in mental health care today. Artificial Intelligence (AI) and Machine Learning (ML) are two technologies that many mental health vendors are throwing around as big buzzwords right now. I’m concerned about the clinical validation of these tech-driven approaches though, especially because they lack data to support their methods. The way I see it is, if it hasn’t been published in a peer-reviewed medical journal, it’s essentially just sales and marketing material. Spring has published 25+ studies about our technology in journals like The Lancet and JAMA Psychiatry. We also don’t want to replace your therapist with AI, which seems to be the end goal of some other mental health care vendors. But there’s no promising, long-term data about the results of those tools, so it seems precocious and frankly irresponsible to try replacing providers with machine learning. Last question: what’s your favorite success story from one of Spring’s partners? As a software engineer myself, I know how stressful technical and product-focused roles can be. I’m always thrilled when our Sales team develops partnerships with tech companies or employers with large, young, engineering populations, because there’s a need amongst those groups. Long hours and short deadlines are not uncommon for engineers, and I’ve seen people’s mental health suffer as a result of the stress from these roles. People leave their companies or tech as a whole because of it, which is of course concerning. I love reading the glowing testimonials we get from our current partners, especially if it’s from a fellow engineer. Get first in line for more from the PeopleTech Partners community of top HR & People leaders on this and other key topics and trends impacting the future of work here. PeopleTech Partners is a network of experienced People Leaders committed to helping game-changing HR and Recruiting tools get to market and grow. Our People Leaders author content on innovative approaches for the future of work and drive thought leadership within the People community. The G7 is at Work!